VrayTriplanarTex is able to produce triplanar mapping of any other 2D texture over an object that doesn't have UV coordinates. This feature has great potential. Combined with VRayCuravature is perfect for geometry sensitive mask ─ which is the key element for realistic material. V-Ray 3.3 delivers simplified workflow: artist now can focus on only two parameters: "Max AA Subdivs" and "Noise Threshold / Color Threshold". 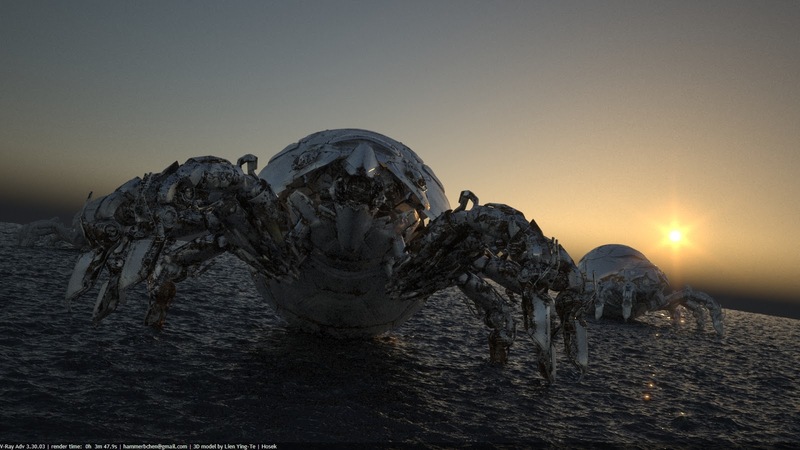 For team work or large projects, inevitably scene assets accumulate different material / light subdivision. SP3 disregards all individual shading subdivs. Even for Xref scenes, the subdivs are calculated at render time. There's no need to adjust anything for xref. This is one important step for large scale automatic production. Under strict linear workflow, without help of "sub-pixel mapping" or "Clamp Output" new V-Ray cure fireflies artifact automatically. Predictable image quality. 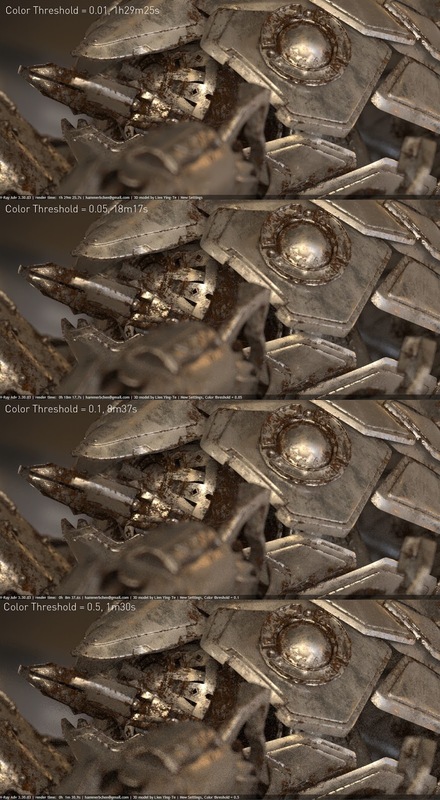 A linear relationship between the noise / color threshold value and the render time. 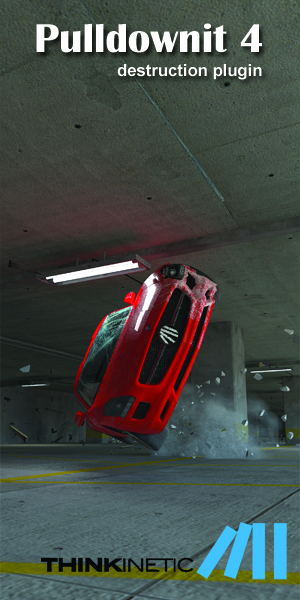 With similar image noise level, SP3 reduce rendering time by 29%. 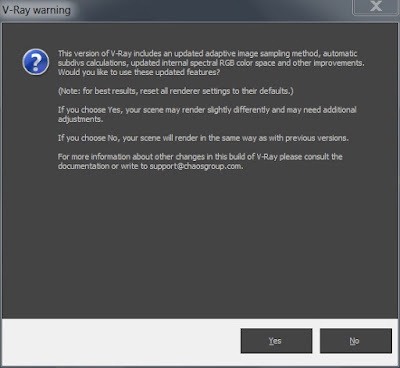 "Compare V-Ray Settings" is a handy tool for comparing settings differences between images. Users need to refrain from tweaking, get rid of old habits and give V-Ray a chance to work as it should. Inconsistency in naming the same parameter for the adaptive and progressive AA modes. "Use Local Subdivision" is off. 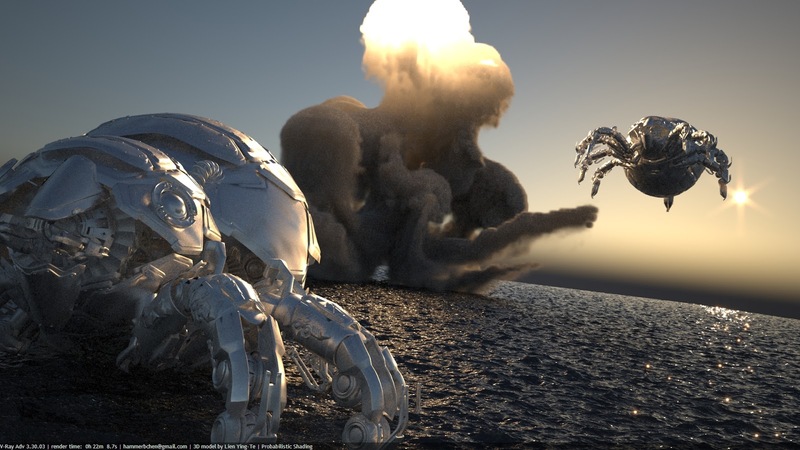 V-Ray disregards all individual shading subdivs. You have only one shading quality control - "min shading rate". "Reflective GI Caustics" is on. Since SP3 robust handling of reflective GI caustics, this is basically a free effect. Your interior scene might looks brighter and more realistic. "Min Shading Rate" is set at 6. This is best value based on statistics from Chaso group. 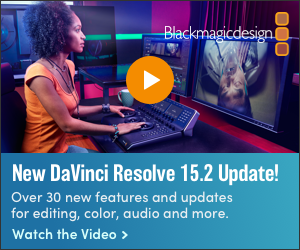 Color Space set to sRGB. The conversion avoid extreme RGB values internally. sRGB allows faster render speed and more realistic image. 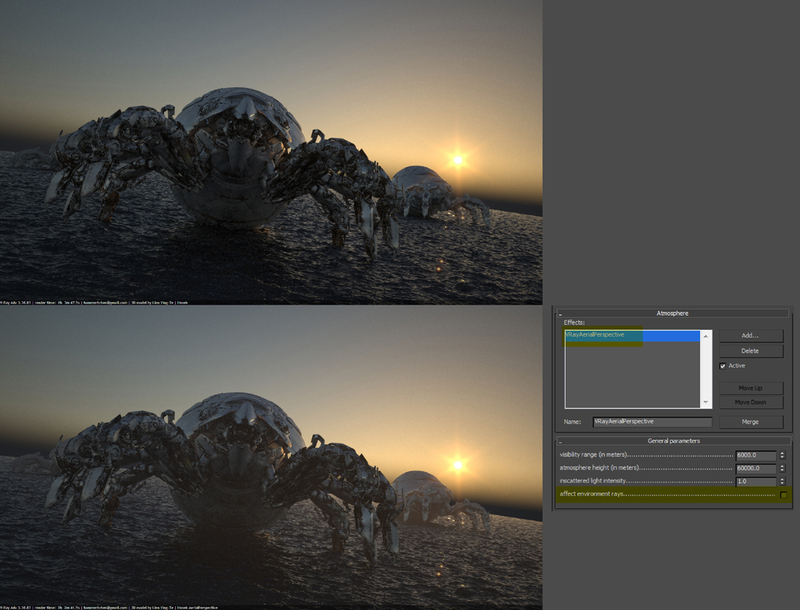 As you can see, with same Color threshold, in this specific scene, V-Ray 3.3 increase rendering time by 42 ~ 248%. 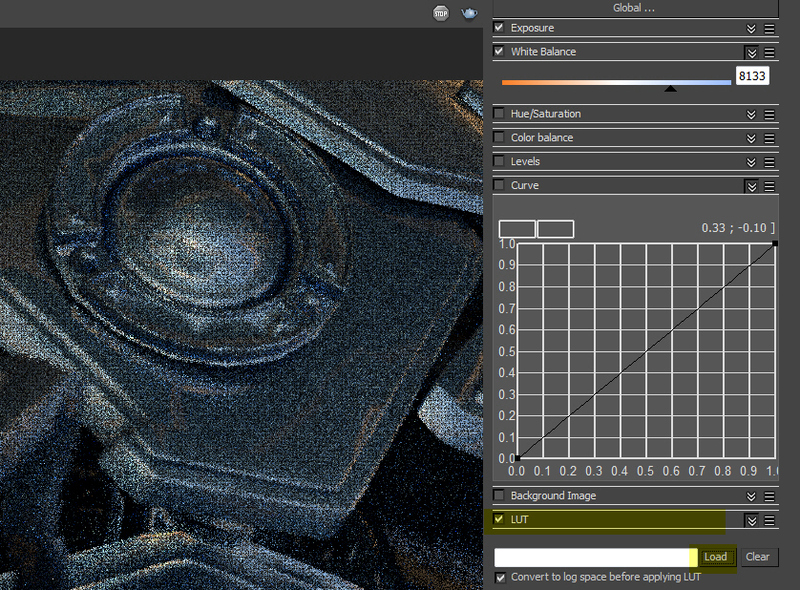 However, with same value of Color threshold, SP3 produce much less noise and more even noise levels across the image. Obviously the meaning of Color threshold / Noise threshold is different between new and old settings. 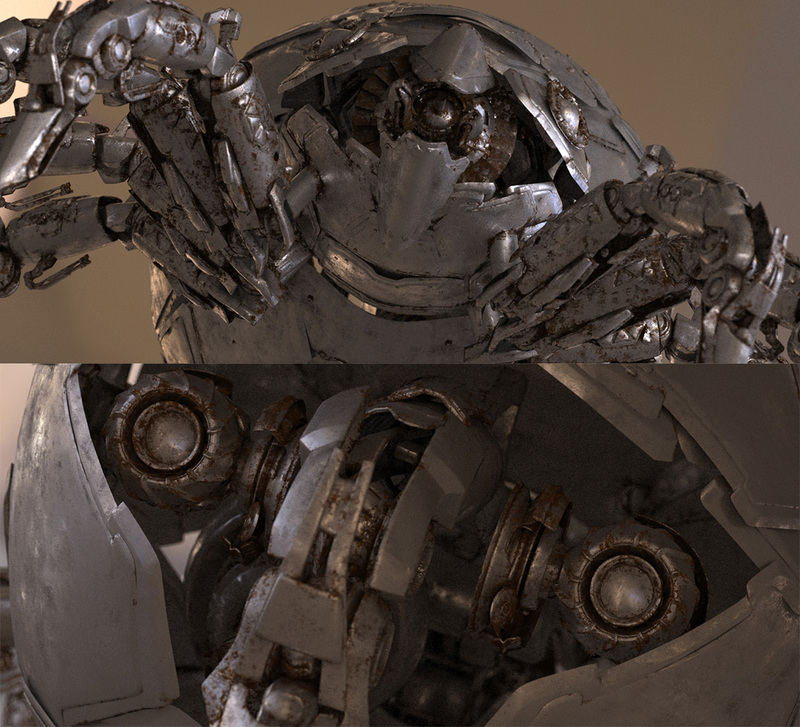 V-Ray 3.2 (left) shows more white noise than V-Ray 3.3 (right) in the dark area. Based on initial test results, I found with Color threshold = 0.15, I can get good noise level within a reasonable time. 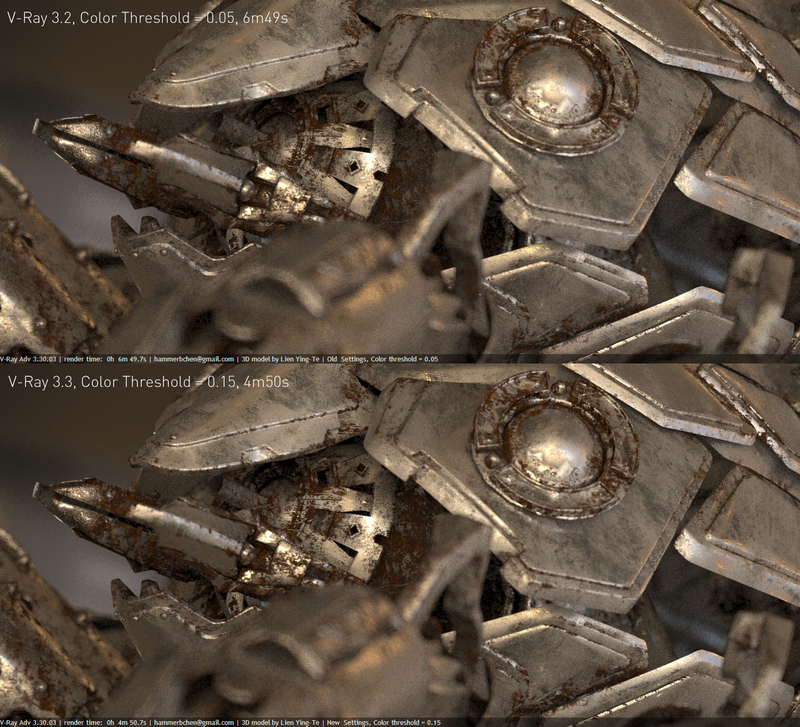 The upper image shows the V-Ray 3.2, Color Threshold = 0.05; lower image shows V-Ray3.3, Color Threshold = 0.15. 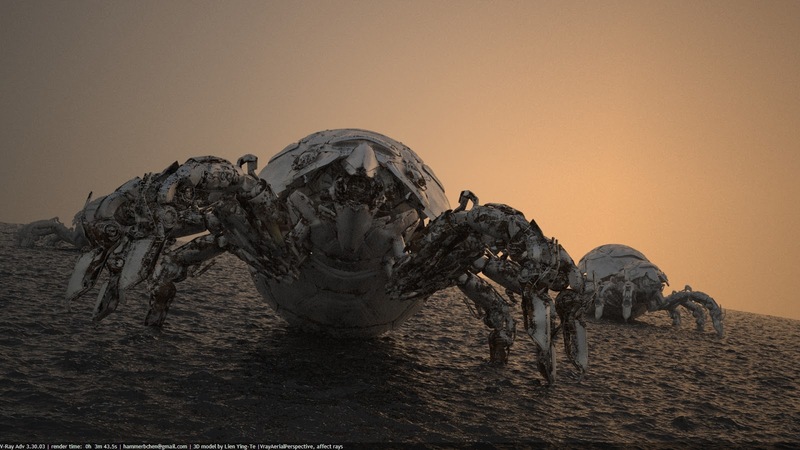 Therefore, with similar image noise level, V-Ray3.3 reduce rendering time by 29%. 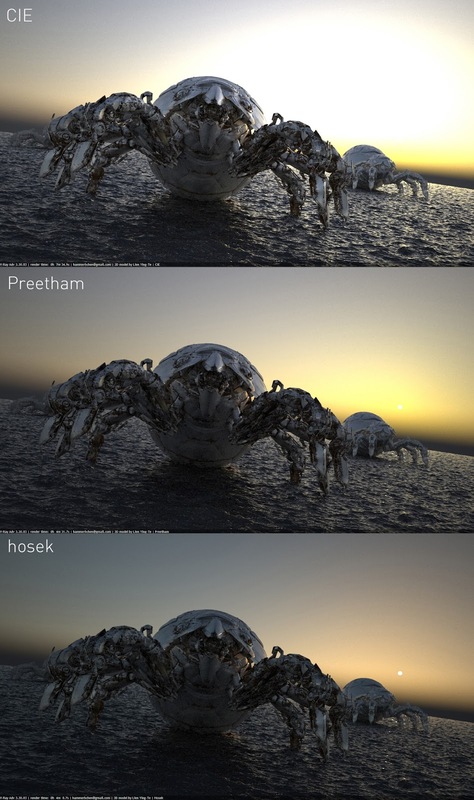 From top to bottom, rendered with CIE, Preetham and Hosek sky model. The new sky model Hosek simulate more natural sky. With "affect environment rays" ticked, simulate light scattering effect. "I can't believe it, I've been bugging various developers for well over a decade for this, and now the time has finally arrived! Vlado did it, he finished the Blended Box Map Plugin!" Even with seamless textures, you can still see seams when apply to 3D model. 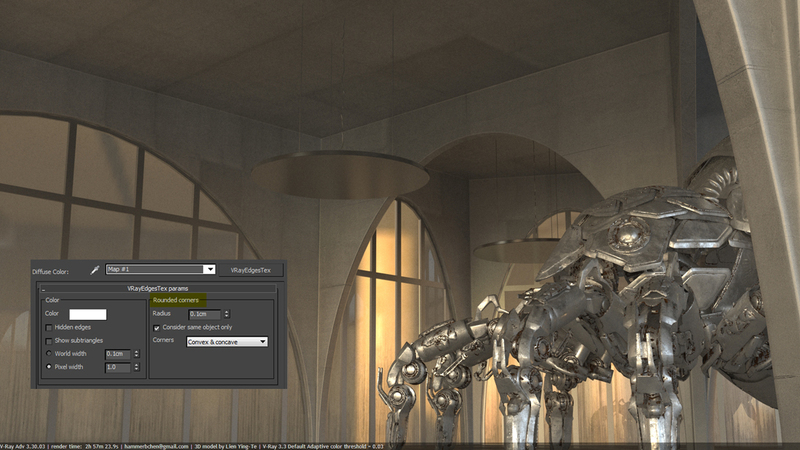 With VrayTriplanarTex , even when object don't have proper UVW, you can have any 2D texture map cover the surface. The blend control reduce seams dramatically. Combined with VRayCurvature, you can easily create a geometry-sensitive mask by mixing the two. 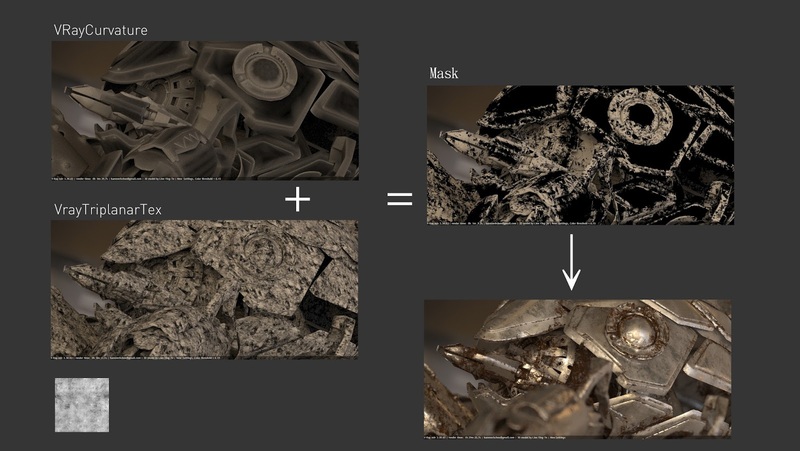 Such mask is the key element to realistic materials, rusted metal for example. 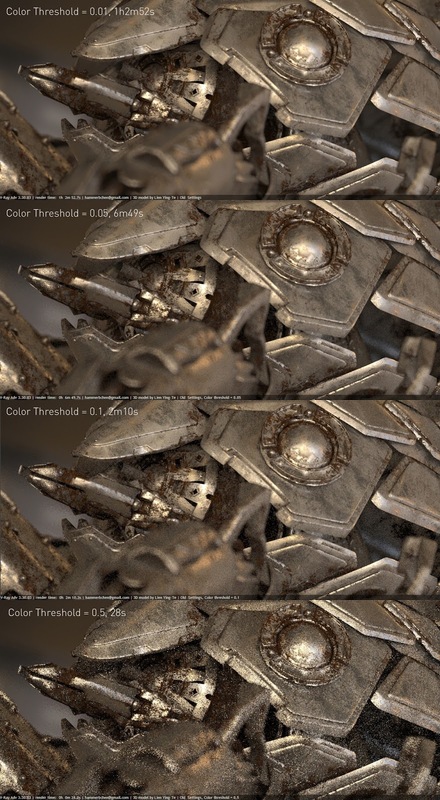 Reduce white spot noise when Probabilistic Shading ticked. 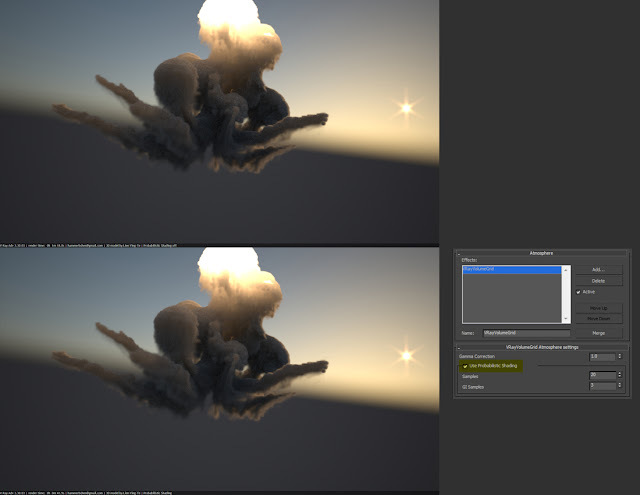 This shows a table with the differences between the settings used to render the selected image and ones currently set in the V-Ray renderer. 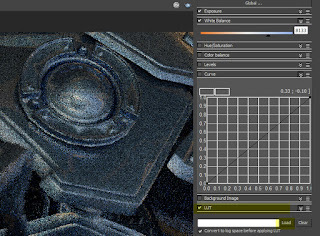 A perfect tools for optimize render settings. Create rounded edge in render time, a good feature for interior design as it give hightlight for hard corner.